the annual International Theosophy Conferences (ITC) (co-organization). Our world is filled with contrasts. The country you live in or originate from determines how others see you. You are a refugee or you live free and protected, you are starving or must beware of becoming overweight, you are a full citizen or others look down on you. Despite all the contrasts, we cannot live without one another. Because you are a human being, because all of us together form humankind. What is humanity and brotherhood? What does it take to accomplish harmony and happiness for everyone? How well do we understand each other’s way of thinking? What changes if we truly identify with others before forming an opinion? What does a universal vision on society mean? 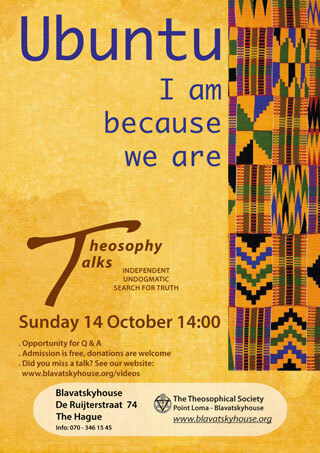 Watch LIVE on the 14th of October. The fantastic theosophical knowledge that offers a solution to all life issues is unfortunately little known. A wisdom knowledge that shows like no other how to find answers within yourself. 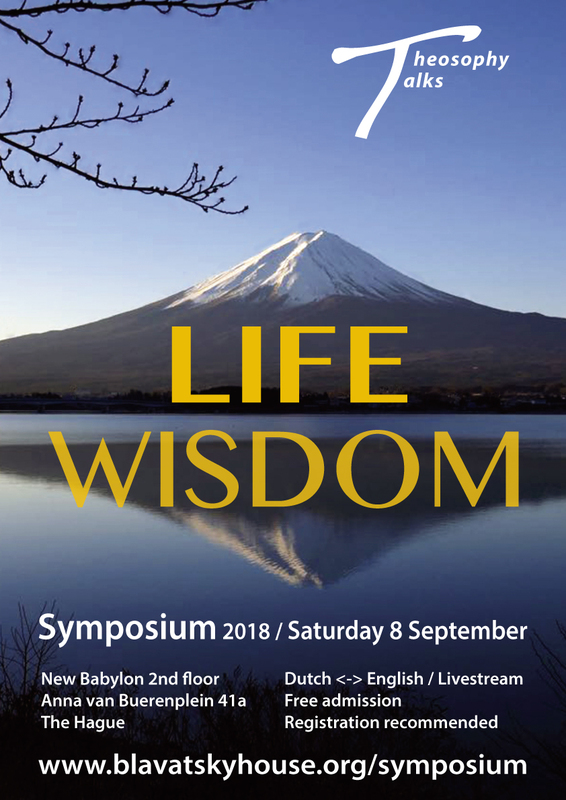 During this symposium on 8 September in The Hague you will be able to discover your potential to find the answers how to solve life’s issues. The theme of this year is Life Wisdom. We want to turn this event into an experiential symposium by giving you the opportunity to choose one or more life issues (to be decided on the spot), and to approach these together from that theosophical wisdom of life. We will not tell you what to do, but we will clarify the processes in Nature, the laws, so you can make the best choices yourself. Since we are convinced that if you have knowledge of these laws, you can make a better and more conscious choice. We invite you take up this challenge and like to see you Saturday September 8th! More information on our symposium website. There must have been people much wiser than us. People that have uncovered many of the mysteries of life. Some of these people have left their life lessons for us to follow. Gautama the Buddha was such a human being. His lessons are still inspiring hundreds of millions of people around the globe. Also the story of his life is full of meaning. 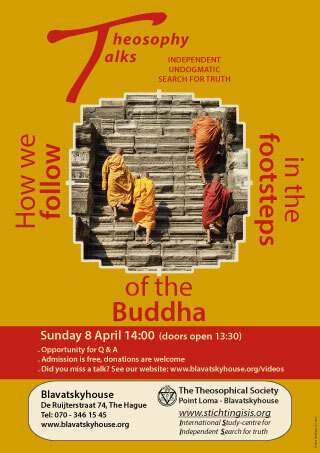 Gautama the Buddha shows what is possible for a human being to achieve and thus what is possible for us all. There are many messages hidden behind the story of his life. Messages that can be applied directly in our life, today and tomorrow. Who does not want to know what our origin is, where we come from, and what lies ahead? 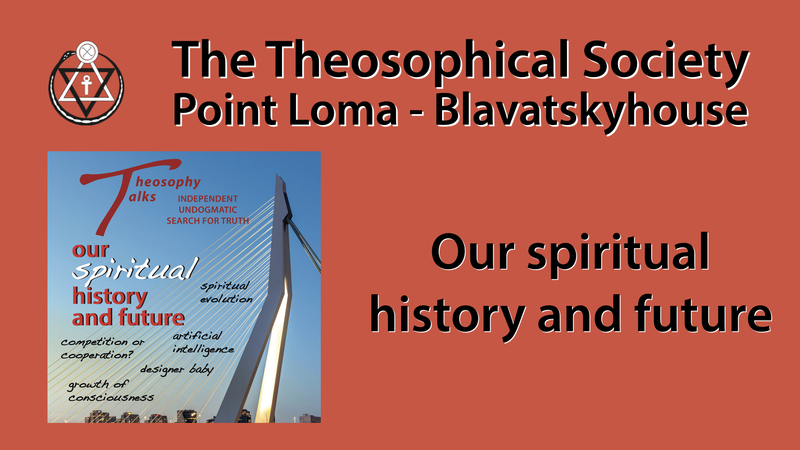 There are many theories about the history of man, both scientific and theological. But do they reason from the perspective of the Reincarnating Ego? And that is precisely where the key to understanding lies. For example, human culture is much older than today’s scientists estimate: the first civilized cultures were there millions of years ago. We humans - even though our present state is still very imperfect - have already gone through many stages of growth and experience. It is very useful to know more about it. And then about our future: what kind of possibilities are dormant in our consciousness? What kind of civilization will we build in the future? Are we going to create designer babies? Will future generations become half man-half robot? This lecture is about the fundamental question, what ‘evolution’ actually is. What is driving it, is that competition or cooperation? Are we evolving ‘each man for himself’, or is the evolution of all beings, from gods to minerals, totally interdependent? The more we understand from our path of evolution, from the unfolding of the higher possibilities that we carry within us, the better we can interpret and direct our lives now - including the rapid developments in technology. Annually, we organize symposia around a central theme. 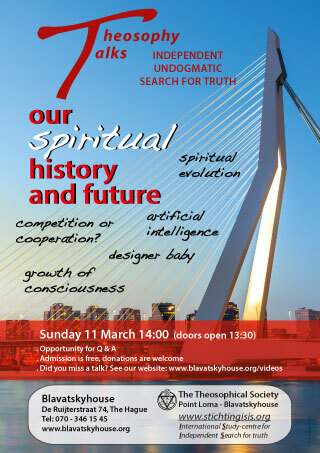 More information about our latest Symposium can be found on the following website: http://www.isis-foundation.org/symposium/.